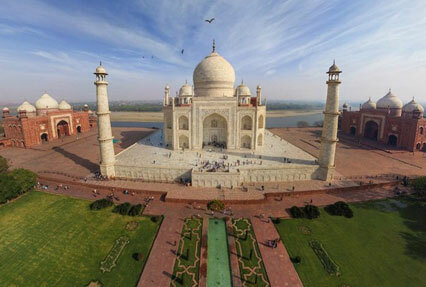 Royal Journey of India, a tour package of 20 nights and 21 days, offers you a chance to explore the royal state of India – Rajasthan, which is one of the most well-known all across the world. During the itinerary, you visit popular destinations such as Jaipur, Pushkar, Kota, Bundi, Chittorgarh, Udaipur, Kumbalgarh, Jodhpur, Jaisalmer, Bikaner and Mandawa. 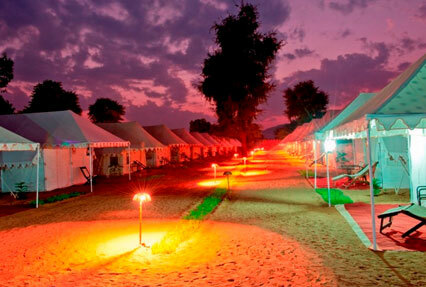 The itinerary also includes sightseeing in Delhi as well as a wildlife safari in Ranthambore National Park. After late evening arrival in Delhi, meet an IHPL representative who helps you with an assisted transfer to your pre-booked hotel for an overnight stay. 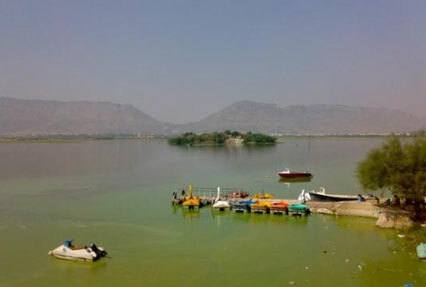 After breakfast, begin driving to Jaipur- the Pink City of Rajasthan. Midway, halt at Fatehpur Sikri – the old deserted city of the Mughal capital, erected by Emperor Akbar in the second half of the 16thcentury. On arrival, check –in your hotel. The rest of the day is free for leisure activities- interact with the locals, relish local delicacies, explore the surroundings on foot etc. Night stay in Jaipur. Indulge in the morning and evening safaris in the park. During the safari, you may spot animal and bird species such as Indian wild boar, spotted deer, tiger, Sambar deer, along with 270 avifauna species. Stay overnight in the jungle lodge. After breakfast on day 9, leave by road for Chittorgarh. On the way, halt at Bundi. Visit the Taragarh Fort or Star Fort – a beautiful white fort that is now in a dilapidated state and Chattra Sagar – a village community gallery where miniature murals are displayed that depict instances from 'Raaslila' - the Radha-Krishna story. The last visit in Bundi is Sukh Mahal - located on the banks of Lake Jait Sagar, this fort has beautiful white-marble royal Cenotaphs. Proceed to Chittorgarh. 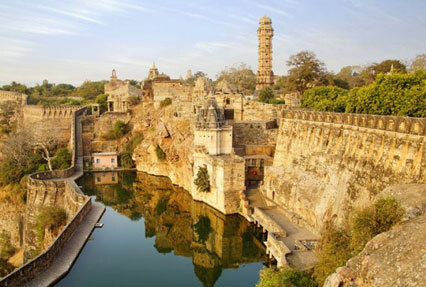 After check-in, visit the Chittorgarh Fort – the largest fort in India. Leave for Bijaipur Castle for an overnight stay. In the morning, after breakfast, leave for Jodhpur. On arrival, check-in at your pre-booked hotel. Later, leave for visiting the magnificent Mehrangarh Fort – perched 400 feet above the city level, this fort is one of Rajasthan's highest forts. It was erected by Rao Jodha- the chief of the Rathore clan of Rajputs during the 15th century. In the evening, visit Umaid Bhawan Palace Museum – originally a palace constructed by Maharaja Umaid Singh. Some of its portion has been transformed into a museum. Stay Overnight. Once you have breakfast, leave for sightseeing in Bikaner. Visit the camel-breeding farm - the only one in Asia. The next visit is to the well-known Karni Mata Temple, dedicated to Karni Mata, a reincarnation of Goddess Durga. The temple built during the 15th century, completely in marble, was commissioned by Ganga Singh, the former ruler of Bikaner. Later, leave for Mandawa by road. On arrival, check-in your hotel for an overnight stay. Have breakfast today and leave for visiting the attractions of Old and New Delhi. The list of Old Delhi attractions includes Raj Ghat, Jama Masjid and Red Fort. Later, enjoy a rickshaw ride from Jama Masjid to Chandni Chowk. 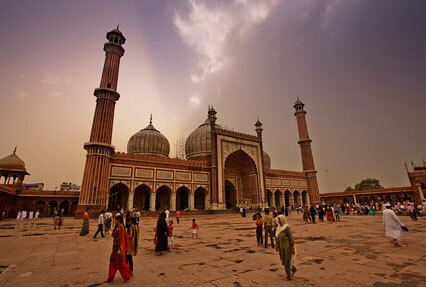 Post lunch, visit New Delhi attractions including Humayun's Tomb and the Qutub Minar Complex. Drive past Rajpath, India Gate, Parliament House, the President's Residence and the Diplomatic Enclave. Overnight in Delhi.